Holly Willoughby was overcome with emotion as she met a puppy who was in need of being re-homed. 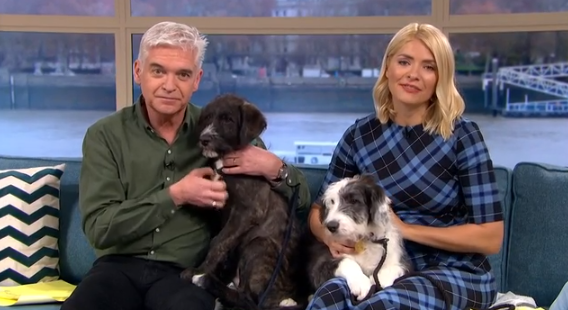 During Wednesday's This Morning, Holly and co-star Phillip Schofield met four adorable pups Cuddly Dudley, Missy and their siblings Baloo and Taz. But it seems Holly had a soft spot for Missy as she admitted she had already cried twice before the show aired over the pooch. As she shared a cuddle with Missy, Holly said: "She’s made me cry twice today. "Any one holds Missy and hold her paw, she’s got such a special energy she’s just amazing." As Missy fell asleep on Holly's lap, the presenter gushed: "Look at her. "She's going to make me cry again! They are just the sweetest dogs. They really give you something don't they?" She continued: "I've got a cat, I don't have a dog but there is something a bit special..." as she began to tear up. Viewers watching from home immediately begged Holly to take little Missy home. One person said: "Please take [her] holly!!!" while another wrote: "I hope @hollywills takes [her] home." She's going to make me cry again! They are just the sweetest dogs. 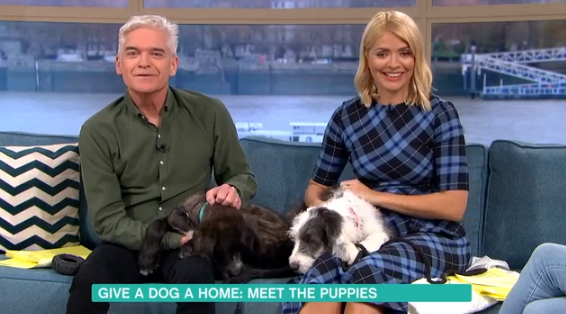 A third added: "OMG @hollywills take that beautiful pup home!" The Old Sheepdog-cross pups were all born in a foster home after their homeless mother was found struggling on the streets. Three Counties Dog Rescue are now searching for loving families for the pooches. 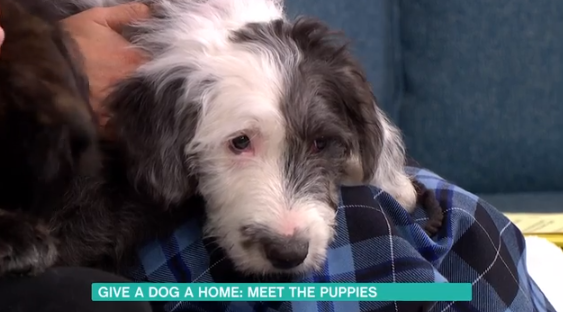 The segment was part of the show's campaign to rehome 52 dogs over the course of a year. Meanwhile, on Tuesday's show, Holly was left giggling after making an accidental blunder during a live link on the show. She was telling viewers what was coming up on the show and she accidentally called a segment "soap gusset" rather than "soap gossip". Holly told viewers: "Sharon's here with all the gusset from Soapland," to which Phil interjected: "Gusset?! The gusset? Soapland's gusset," as Holly burst into laughter. Correcting her mistake, Holly said: "The gossip from Soapland." Phil said: "Can I just remind you how much of a hard time you gave me yesterday that I made a mistake because I called Fay Ripley 'Ray Fipley.'" Holly replied: "Yeah but everyone expects me to make a mistake where as you don't. When you do it, it's so much better." Phil joked: "Well, I've not said 'soap gusset' that's for sure." 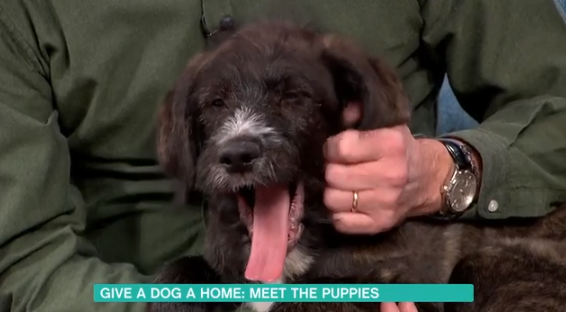 What did you think of the pups on This Morning? Leave us a comment on our Facebook page @EntertainmentDailyFix and let us know!